Despite our love and best intentions for our dogs, this animal can sometimes be extremely loud and frustrating, especially when the dog has a loud resonating bark. The behavior can be a cause for headaches and inconvenience for you and your family but thankfully it can be controlled using an ultrasonic anti-bark control device. The only problem, however, is finding the right bark control device for your dog. In this article, we look at the top 8 ultrasonic anti-bark control devices on the market today. We’ll also provide you with a detailed buying guide to help you make a more informed decision when looking for the best ultrasonic bark dog collar. What Exactly Is An Ultrasonic Dog Bark Control Device And How Does It Work? Are Ultrasonic Bark Control Devices Safe For Your Dog? Our top ultrasonic anti-bark control device is the PetSafe Indoor Bark Control Pet Training System, which is a strictly indoor tabletop device designed to stop your dog’s annoying barking and bring peace and quiet into your home. It’s quite easy to use. Just place it on a table in a room where your dog barks the most and it will release an extremely high pitched 2-second ultrasonic tone that’s unpleasant to your dog. Pretty soon your dog will start associating the unpleasant ultrasonic sonic with its barking behavior and stop barking in just a few days. 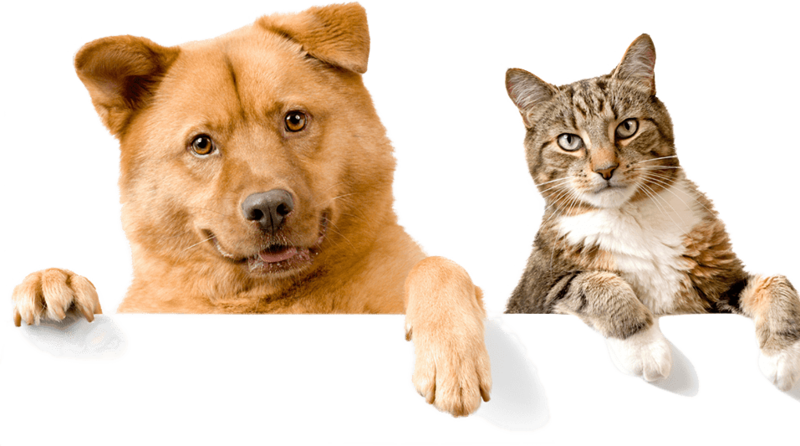 The PetSafe Indoor anti-bark ultrasonic device has a range of 25 feet, which is basically the size of 1 or 2 rooms in a typical house. You can set the device to deliver the ultrasonic tone automatically every time your dog barks or you can manually press a button to release the sound when the dog becomes too loud. The anti-bark unit uses a 9-volt alkaline battery that can last for as long as 6 months depending on how often your dog barks. Made by PetSafe, a renowned pet training products manufacturer, the Ultrasonic PetSafe Indoor Bark Control Pet Training System is a well-built, durable, and effective anti-bark device. It’s a safe and harmless bark control device that can be used on dogs of any size or breed. It comes with a strong microphone that can detect your dog’s barking and avoid false corrections. If you’re looking for an affordable, versatile, and safe anti-bark device, the PetSafe Indoor bark control system is your best option. Our most budget-conscious ultrasonic dog anti-bark gadget is definitely the Zelers Upgrade Rechargeable Mini Bark Control Device. This is a solid bark control unit designed in a black box shape but with a host of features and functions to prevent your dog from barking unnecessarily. The Rechargeable Zelers Mini Bark Control is designed for both indoor and outdoor uses. It comes with 4 range levels to choose from and can even detect a dog barking 50 feet away. The Mini Bark Control Device can be used on dogs of any size although the manufacturer insists on using it on dogs aged 6 months and above. It’s run by a rechargeable battery that can run for a whole month from a single charge. The unit has a low power indicator that shows you when to replace the battery. It’s an easy-to-use ultrasonic anti-bark control unit that can easily be hung on a wall, fence post, or tree. The Zelers Upgrade Rechargeable Mini Bark Controller is a budget-friendly anti-bark device with all the key features found in other higher priced models. Its adjustable ultrasonic levels are safe for dogs of all sizes and ages. It’s an easy-to-use device that you can even mount on a tree or fence post outdoors. It also comes with a No Bark Guarantee from the manufacturer. If your dog doesn’t stop barking after using the product, you can return it anytime and get a refund. If you’re looking for an effective solution for your dog’s annoying barking, then you may need to check the Frienda LED Ultrasonic Dog Repeller. This is a 3-in-1 anti-bark handheld dog training device that produces a high pitched sound audible only to the dog and completely harmless to humans and other pets. It’s quite easy to use too. Just press a button on the device for a second or two and give a verbal command like “Quiet” or “Stop!” and the device will release a strong ultrasonic wave that will instantly stop the dog’s bad behavior. The Frienda LED Ultrasonic Dog Repeller is a conveniently portable handheld pet trainer that’s 100% safe for your dog. It may however not work as efficiently on large dogs as it does for smaller breeds. The BossBee Ultrasonic Device is another great option for those who want a strong handheld ultrasonic bark deterrent similar to the Frienda LED dog repeller discussed above. The BossBee, however, comes with a few differentiating features and functionalities. For instance, it’s powered by four AAA batteries instead of the lithium-ion batteries used in other handheld models. This type of batteries lasts longer than their lithium-ion counterparts. The handheld BossBee ultrasonic anti-bark device works well even in dogs with hearing problems. It comes with a convenient wrist strap for easy portability and is extremely easy to use too. Just push a button and it will emit a high pitched sound audible only to the dog. Most customers who bought this dog bark control product on Amazon gave it 4 to 5 stars for performance and price. It’s a great option for those who want a simple, portable, handheld dog barking control device. Is your dog or your neighbor’s denying you the peace and quiet you long for in your home? Make all the dogs in your immediate surroundings stop their loud annoying barking using this ultrasonic anti-bark device from Good Life Inc. It has an adjustable bark sensor that allows you to lower or raise sensitivity level and silence dogs both indoors and outdoors. The device emits a high pitched sound that a barking dog will find extremely irritating. It also comes with a remote control that you can use to manually control dogs beyond the device’s 50 feet automatic range. This is a great anti-bark device for both indoor and outdoor use. It has a wide automatic detection range of up to 50 feet and is quite easy to use. You can rely on the Good Life Pro to make your neighbor’s dog stop its noisy barking. Elenest Anti Barking Device is another good option for anyone that wants to make his or her dog stop barking annoyingly. It’s a safe and professional barking deterrent device that uses a high pitched sound to discourage your dog from barking. It has 4 adjustable ultrasonic volume levels and can send its signal to a range of up to 50 feet which makes it ideal for both indoor and outdoor environments. It even comes with a hanging rope which you can use to mount the unit on a tree or fence post while spending time outdoors with your dog. It has a waterproof design and can be used in any weather. The device is perfect for training small, medium, and large sized dogs. The Elenest Anti Barking Device provides a safe, humane, and effective way of making your dog stop its annoying barking behavior. It’s weatherproof, durable, and easy to use anti-barking device for both indoor and outdoor uses. This is a versatile handheld ultrasonic and infrared dog deterrent and bark stopper device. It not only helps to make your dog stop barking but also protects you from unfriendly dogs in your neighborhood. It’s a safe and effective ultrasonic handheld dog training device that emits a shrill ultrasonic tone that immediately stops any dog in its tracks. The device will stop any dog approaching you before the aggressive animal can bite. The high-frequency sound will also make your dog obey your commands and immediately stop barking when you press the button. It not only eliminates excessive barking but stops other unwanted behaviors such as jumping on people, scratching, clawing, and biting. The APlus+ Handheld Dog Repellent provides a fun way to train your dog and protect you from unfriendly canines while walking or jogging in the neighborhood. It’s a portable handheld device that’s quite effective on most dogs. The Bark Genie Bark Control Device from First Alert is a perfect solution to dogs that bark uncontrollably. It’s a safe and effective way to calm a barking dog. The device uses a high pitched sound only audible to the dog to distract the dog from barking. It’s an easy to use anti-barking solution. You just need to press a single button to emit the ultrasonic sound and catch the attention of your dog within a distance of 15 feet. It’s a small handheld device that looks like a miniature flashlight. The device works perfectly on dogs of all sizes and breeds. If you’re looking for a small and convenient device to teach your dog good behavior and stop barking excessively, then get this Bark Genie Handheld gadget from First Alert. It’s a safe humane dog training device that can be used on dogs of all breeds and sizes. It’s quite natural for dogs to bark but when the barking becomes unbearably annoying then you need to take measures to stop it. There are many ways to stop your dog from barking remotely but the most humane and effective method is by using ultrasonic dog bark control devices. To know how ultrasonic dog bark control devices work, it’s imperative to first understand what ultrasonic sounds are. Ultrasound tones are sound waves which when measured on human hearing frequency reach beyond 20,000KHz. These are extremely high pitched sounds that humans cannot hear. Dogs can hear higher frequency sounds of up to 45,000Hz, which is more than 25,000Hz in comparison to what humans, with perfect hearing, can hear. The ability of dogs to hear higher frequency sounds means that we can use ultrasound frequencies to train the animal without disturbing other humans. Ultrasound devices help to get a dog’s immediate attention and correct any unwanted behavior such as barking, jumping on people, scratching, and biting just to mention a few. These devices use high pitched sounds to train your dog to be calm and quiet. The extremely high pitched sounds produced by ultrasound devices are irritating to the dog and when automatically or manually emitted when the dog barks or misbehaves, will help stop the bad behavior. The dog soon learns to associate the irritating sound with unwanted behavior. The devices help to prevent and stop continuous barking to give you peace and quiet in your home. Ultrasonic dog bark control devices are 100% safe for both you and your dog. The sounds emitted by these devices cannot damage dog or human ears. The sounds will be unpleasant to your dog but will not cause them any form of extreme distress except remind them to stop their bad behavior. Ultrasonic anti-bark devices work as a form of positive punishment to attract the dog’s attention in a gentle and harmless way. The dog learns to associate the unpleasant sound or experience with barking or other bad behavior and eventually drops the unwanted habit. Ultrasonic devices are more humane than other forms of anti-bark control methods such as shock and spray treatment. Ultrasonic sounds are safe and have even been tested by experienced professionals and vets and found to be harmless to pets and humans. Finding the best ultrasonic anti-bark control device is not an easy task, especially when you are concerned about the welfare of your dog. Most customers are often worried about the possibility of the device to hurt their dog’s ears or cause distress or unnecessary anxiety to their loving pet. You may also be too overwhelmed by the many brands and models of ultrasonic bark control devices on the market today to know the right product for your dog. 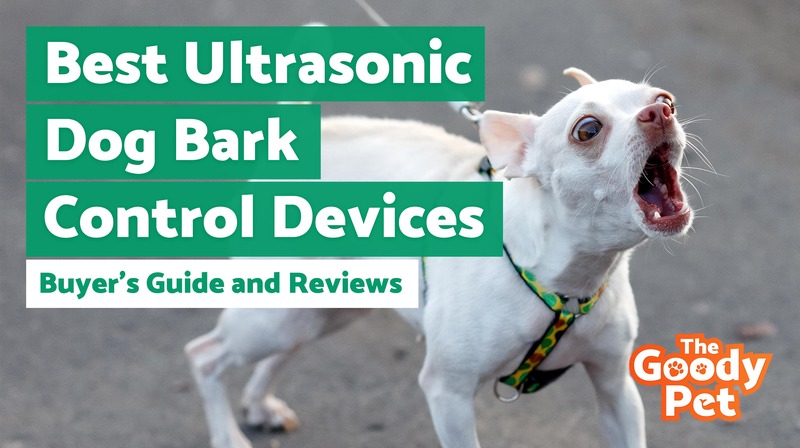 To help you narrow down your choices, here are some of the key factors to consider when shopping for the best ultrasonic bark control device for your dog. The type of device you choose will depend on your dog’s barking behavior as well as how and where you intend to use the device. For instance, if your dog is a frequent indoor barker, then you’ll probably want to get an indoor ultrasonic unit or a handheld model. If the dog is a loud neighborhood nuisance, then definitely get an outdoor ultrasonic unit designed to withstand harsh weather conditions. An outdoor unit, also called a birdhouse device due to its shape and design, will also need to have a good range of 50 to 150 feet. Indoor ultrasonic anti-bark devices have a shorter range of between 10 and 25 feet. A majority of ultrasound anti-bark devices come with 3 sound and 3 sensory levels. You can increase sensory range by feet and stop your dog barks from a longer distance. Sound levels refer to the intensity of the sound that the device emits. If your dog seems to not respond to low levels of sound intensity you can increase the sound intensity to a level that has the most effect. It’s therefore important to buy a device that allows you to adjust both sound and sensory levels. Different ultrasonic anti-bark devices have different sensory range distance but most come with a sensory range of between 20 and 50 feet. The range can be as little as 10 feet or as big as 150 feet. Your choice when it comes to the range will depend on your unique needs and situation. For instance, if you spend lots of time with your dog outdoors or have a pretty big backyard then get a device with a long range. If your pooch spends most of its life indoors then a short-range device will suffice. For an indoor device, make sure it faces the center of the room so that the sensors can efficiently sense the origin of the bark. Ultrasonic anti-bark devices are powered by batteries. The device will need batteries to work so make sure to get a model with long-lasting batteries. Some models come with batteries included while others don’t. The batteries usually last as long as 3 to 6 months depending on how frequently the device is used. If possible, get a model that has an automatic power saving mode. This feature turns off the device when it’s not being used to save battery juice. Most devices have an LED light that shows you when the battery is full and when it runs low. It will normally flash red when the battery is charged and red when the battery runs low. Ultrasonic anti-bark devices are 100% safe methods of stopping your dog from barking incessantly. The devices won’t affect your dog’s hearing or welfare in any way but will help stop the annoying behavior. They work as a gentle sound reminder to the dog of its undesirable behavior so you can relax and have a good night’s rest. However, shopping for the best ultrasonic dog bark control device can be difficult given that there are numerous models and brands on the market today. Our recommended product in this category is the PetSafe Ultrasonic Indoor Bark Control Pet Training System. It’s durably designed and quite effective in performance. It comes with a strong microphone that can sense your dog barking anywhere in your home. The device is safe and can be used on dogs of all sizes and breeds.